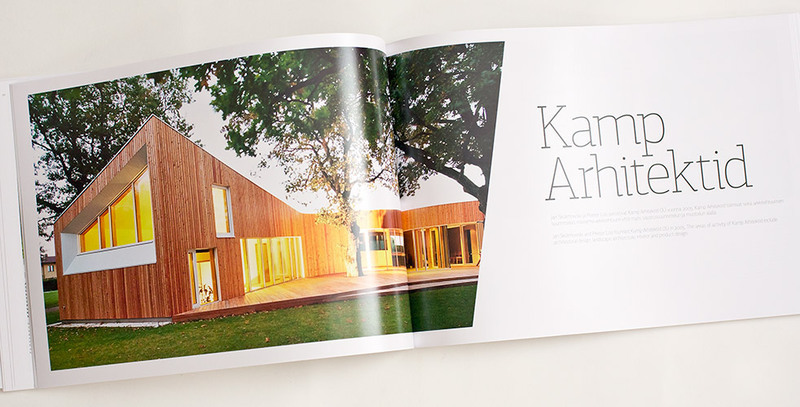 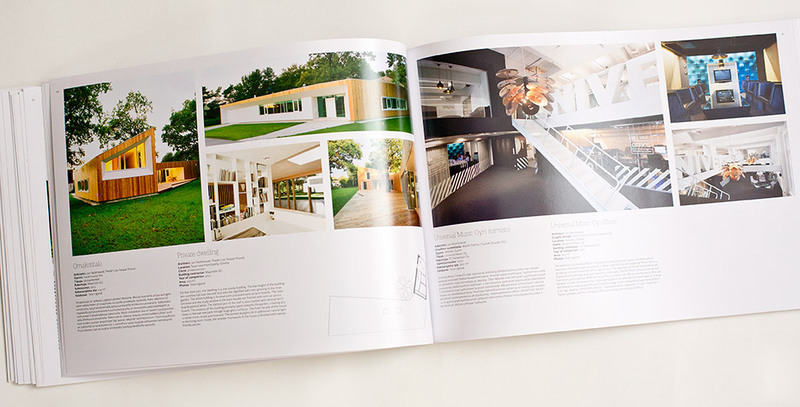 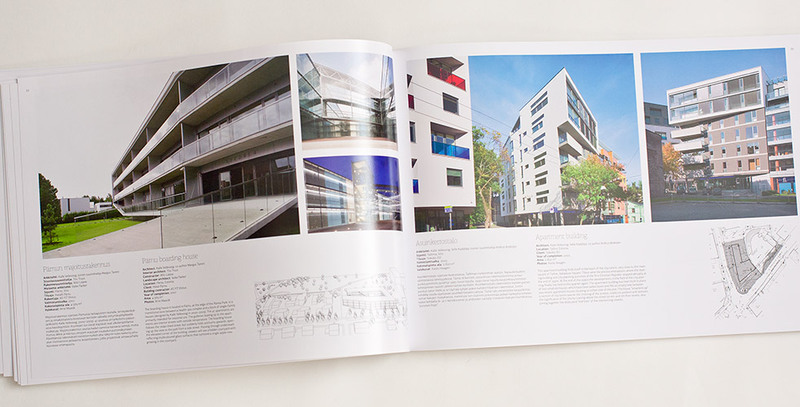 This catalogue provides an overview of good Estonian architecture, which consists of a selection of the works performed by AKU members, primarily the buildings and projects which the architects themselves consider the most important and characteristic. 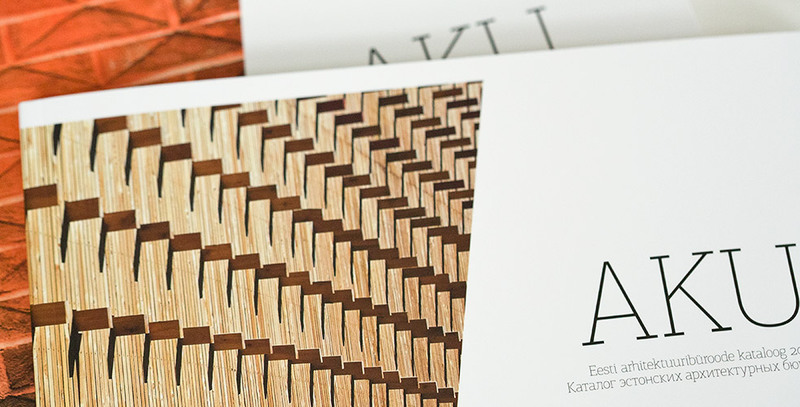 In addition, the compilation contains the introductory pen portraits of all the members of AKU, company details and a summary of the provided services, in order to create possibilities for initiating future cooperation. 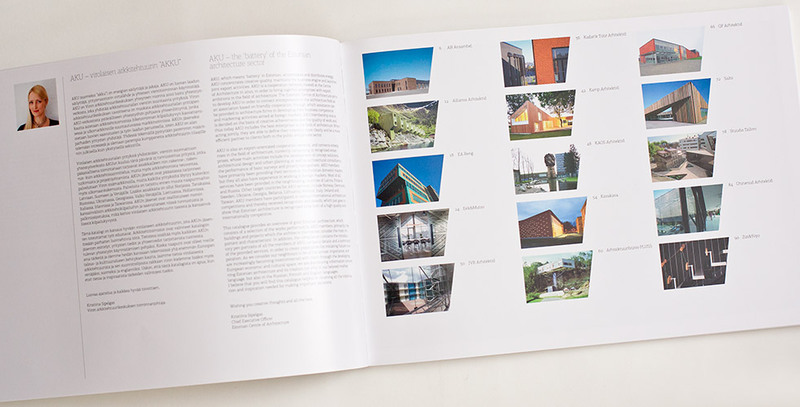 As we consider our neighbours to be of the utmost importance, and are increasingly becoming interconnected with them through the developing European economic and cultural space, we are distributing information concerning Estonian architecture and its creators not only in our beloved mother language, but also in the Russian, Finnish and English languages. 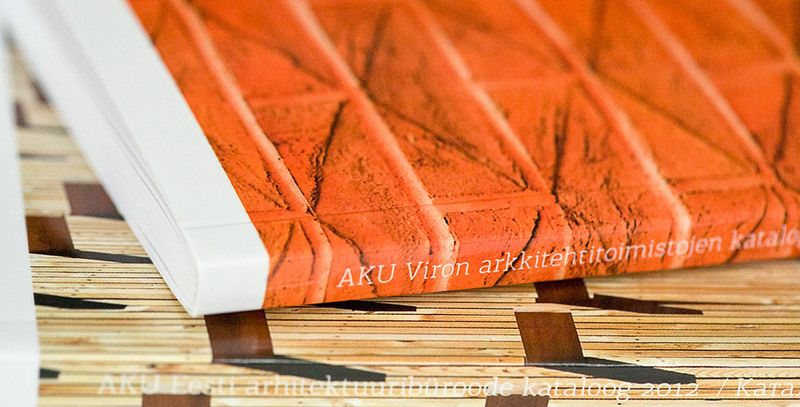 Paper version of the catalogue is available for free from Arhitektuurikatel.